Traders4ACause Raises over $67,000 for BCRF! One of our beneficiaries for our Traders4ACause Annual Charity Trading Conference and Golf Tournament was Breast Cancer Research Foundation (BCRF). Their mission: To achieve prevention and a cure for breast cancer in our lifetime by providing critical funding for innovative clinical and translational research at leading medical centers worldwide, as well as to increase public awareness about good breast health. 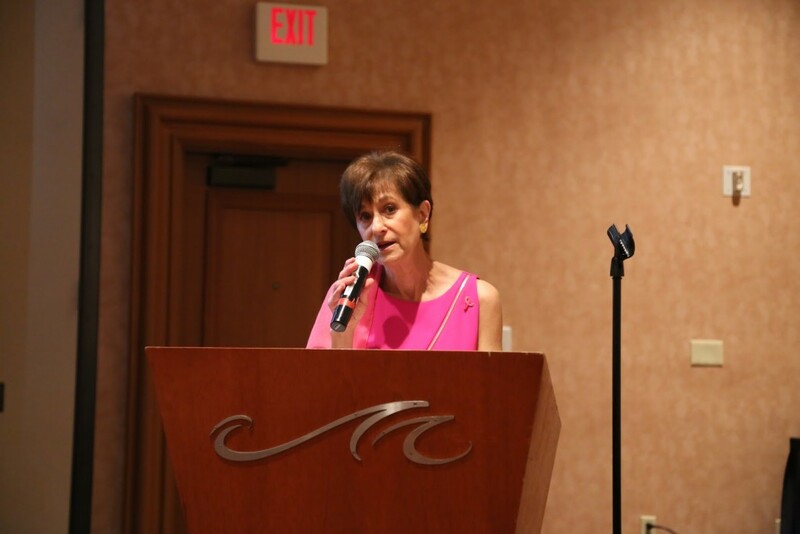 Myra Biblowit was kind enough to come to our event and speak to us about what their mission is, what they’ve done and how far they’ve come. As part of Traders4ACause mission we want to be sure that the money we give to different foundations is being put to work. You can check out BCRF on Charity Navigators and Charity Watch. I couldn’t believe that 91 cents on every dollar goes directly to support the programs they’re raising money for. This is NOT common for many charities. This is because of everyone who helped make a difference last September whether in person or via donations to help us put on the event. I want to personally thank everyone on behalf of Traders4ACause for taking part in such an amazing year! We wouldn’t have been able to do it without each and every one who took part in the cause. Thanks so much for helping make a difference.